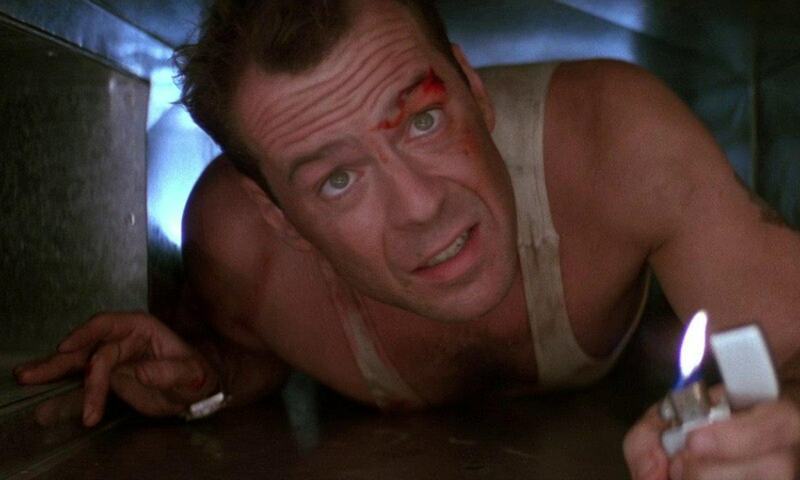 It’s a debate that’s taken the nation by storm: is Die Hard really a Christmas film? And while most right-minded folk would immediately say: ‘of course it is, it’s set at Christmas and an office party is a big part of the plot’, some people don’t think it is. So Steven E. de Souza has taken it upon himself to clarify that yes, Die Hard is a Christmas film. But you may be wondering who’s the de Souza and what right does he have to declare Die Hard a Christmas movie? Well, he’s only the chuffing writer of the film! Responding to a fan who was making a list of all the film’s festive elements he asked: ‘How could it not be a Christmas movie?’, de Souza added: ‘Plus a woman about to give birth features prominently’. That sounds like an admission it is a festive flick to us! Meanwhile, another fan said they’d never seen his or fellow screenwriter Jeb Stuart address whether they think Die Hard‘s a Christmas film, to which de Souza replied: ‘Yes, because the studio rejected the Purim draft’. He also added the hashtag #DieHardIsAChristmasMovie to his post cementing the movie as the greatest alternative Christmas film of all time! Unfortunately for de Souza though it seems most people don’t agree with him. On December 4 a YouGov poll revealed the majority of people don’t think a film that isn’t explicitly about Christmas can be a Christmas film. In fact, only 31 per cent of those polled said they considered a movie set at Christmas time but is not actually about Christmas a true Christmas film. Well to them I would argue that the film’s really about John McClane reuniting with his estranged family after external forces show him the value of human life. Is it just me or does that not sound an awful lot like Charles Dickens’ classic, A Christmas Carol? All you have to do is swap the ghosts for thieves masquerading as terrorists and you’ve basically got the same story. Although if I’m honest I don’t remember the ghost of Christmas Yet to Come falling off Nakatomi Plaza at the end of Christmas Carol.